Join us for a Yes chat! 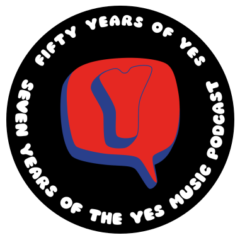 This Tuesday night – 6th March at 8.30pm GMT – I’m going to be hosting a Yes Music Podcast Round Table Event. The idea is to get a few Yes Fans together to chat about some current Yes topics and record it for the podcast. So please consider coming along – via WebEx (VoIP). If you are interested and can make the time on Tuesday, please drop me a line to show@yesmusicpodcast.com and I’ll send you the details. If you are in a different time zone, you can check the actual time of the event where you are using the widget below. I look forward to ‘seeing’ you on Tuesday!